Manchester United are expected to sign a central midfielder or two over the summer following Jose Mourinho’s switch to a 4-3-3 formation in late January and with Michael Carrick retiring. On top of that, Marouane Fellaini is widely-expected to let his contract run down this summer, which would leave the boss with only four options on his books. One of those would be Ander Herrera, who is constantly being linked with a move away from Old Trafford due to his lack of regular first team football. The 28-year-old has made only nine Premier League starts this season despite being named our Sir Matt Busby Player of the Year winner only last season. The Spaniard was recently interviewed by Spanish outlet Mundo Deportivo when he was asked about his future. With just over a year left on his contract at Old Trafford, Herrera said in his interview that he plans to see his contract out with us. “It’s very good. Mourinho backs you up if you give it your all and that’s how I understand football. In the personal treatment he is a direct and frontal person. He has no problems in telling you what he thinks. He never goes behind the back. We have been linked with several central midfielders for possible summer transfers, including Real Madrid’s Toni Kroos and Luka Modric, Borussia Dortmund’s Julian Weigl and Nice’s Jean Seri. 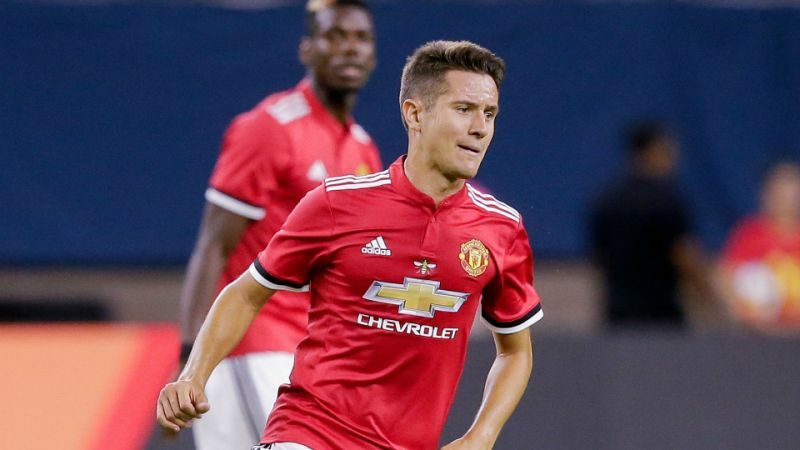 However, one would expect Jose won’t be making wholesale changes in midfield this summer and that Ander Herrera will indeed be playing for us next season.